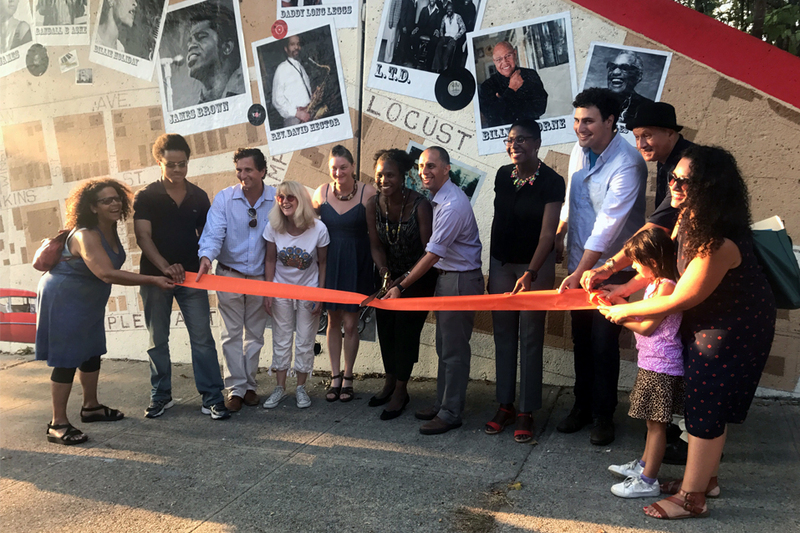 Community mural on Cypress Street under the walking bridge at Billy Taylor Park unveiled at a powerful community event on September 16th. You may have been lucky enough to catch the beautiful temporary public floral display at 800 Hope Street installed by Blooming Artisan. The Avenue Concept commissioned AS220 founder Bert Crenca to complete several temporary murals on the 35 Weybosset building façade. Commissioned by the RISD museum, artist Mary Beth Meehan installed a new photographic banner on the RISD campus. Part of Meehan’s Seen/Unseen series, this portrait of Imam Alli-Owe is a tribute to the local Muslim community and will be accompanied with programming. 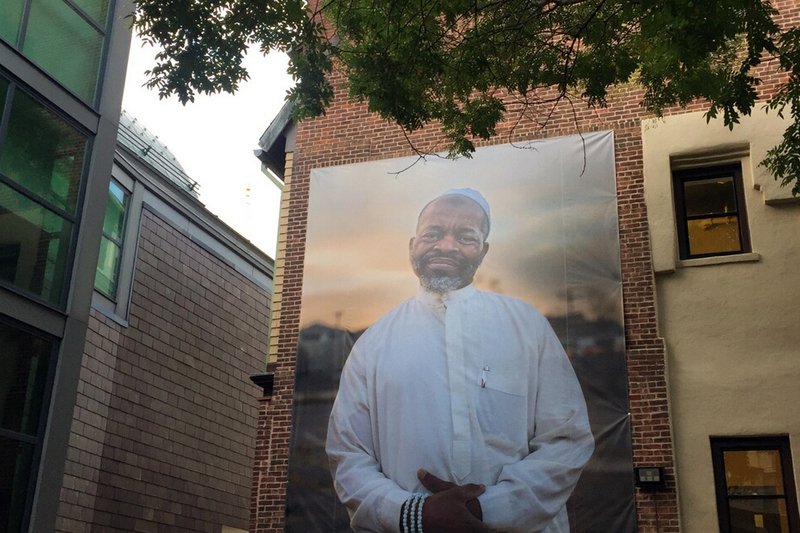 Part of Meehan’s Seen/Unseen series, this portrait of Imam Alli-Owe is a tribute to the local Muslim community. And lastly, the I-95 Commission is planning to bring Mark Reigelman’s “The Meeting House” to One Ship Street. 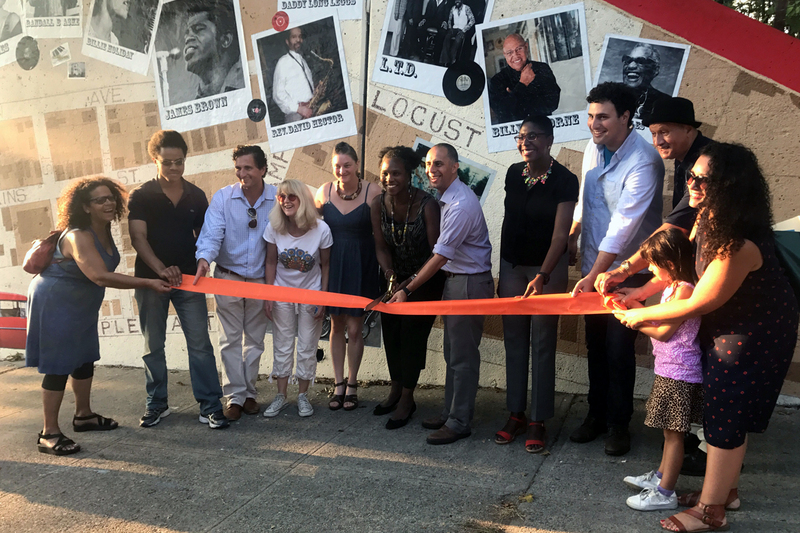 The Meeting House will animate this new art district and will be on view for two years. If you are a part of an organization and would like the ACT staff to talk to your group about public art, please contact Gina Rodriguez, Cultural Affairs Manager at grodriguez@providenceri.gov. 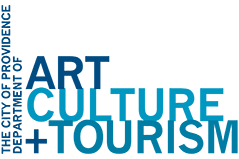 Please note that the October 2017 meeting of the Art in City Life Commission has been canceled. The commission will meet next on November 15 2017.